Melt butter in a saucepan over medium heat. Add garlic and onion with stirring for 4 minutes until tender. Add flour with stirring ingredients are homogenized, then add zucchini and carrot. Add broth and stir continuously. Cover and simmer on medium heat for 15 minutes or until zucchini is matured with stirring occasionally. Raise the mixture aside, let it cool . 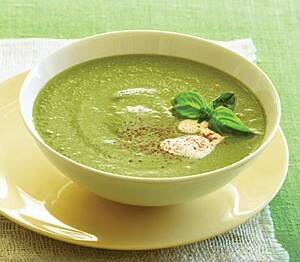 Blend it with electric blender until the soup be thicker. 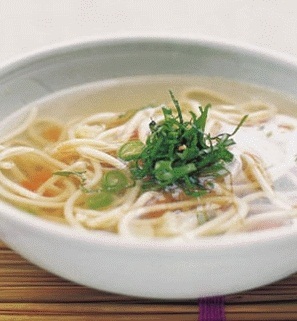 Pour the soup over the pot on a medium heat, use broth, water, or milk to thin the soup density. Season with salt and pepper, Adorn with red Capsicum and serve.